Memorial Day is just around the corner and that means summer is officially here! Summertime brings trips to the beach, barbecues, outdoor sports, and… sweating! What is a person to do in order to protect herself/himself from perspiration and odor in a natural and safe way? Don’t worry, the Garden Gal is here to break down the somewhat complex world of natural deodorants. There are many different types of natural deodorants available and the truth is that each one will work differently on different people. This is because everyone has a specific body odor type, which is based on specific environmental factors, what we eat, and our genes. The body odor you smell after you work out or when you’re stressed is actually the odor of bacteria metabolizing the sweat, not the sweat itself. This is where the difference between deodorants and antiperspirants comes into play. When learning about natural deodorants, the difference between deodorants and antiperspirants can get a little confusing. Deodorants will help eliminate the odor created when you sweat and an antiperspirant will help reduce the amount that you sweat. This means that when it comes to underarm odor protection, you can choose an antiperspirant to keep you from sweating or a deodorant to help mask the odors caused when you sweat. The problem with commercial antiperspirants is that they contain a host of chemical ingredients that may be potentially harmful to your health. To block the sweat under your arms, antiperspirants use aluminum compounds to clog the skin’s pores. Recently, studies have found that these compounds may be linked to breast cancer and Alzheimer’s disease. While the Food and Drug Administration (FDA), the American Cancer Society, and the Mayo Clinic all say that there is no proven link to these diseases, many people are looking for a natural alternative to antiperspirants. Perspiring is a natural function of the human body- it helps to regulate your body temperature and balance your sodium levels. So, like it or not, it’s going to happen. 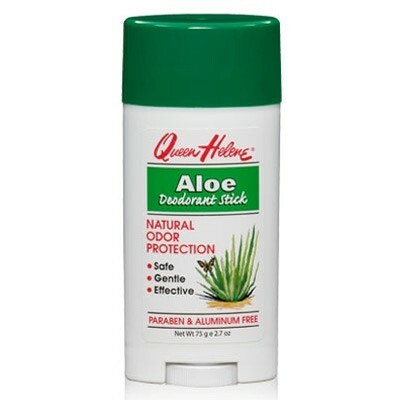 The truth is that no natural deodorant can stop you from sweating because there isn’t an all-natural antiperspirant that can block your skin’s pores. In other words, you will still sweat when you use a natural deodorant. When you have used regular chemical deodorants and antiperspirants for years, this can be a strange sensation! If you’re interested in trying natural deodorants, you may have to shop around and go through some trial and error to find one that works best for you. 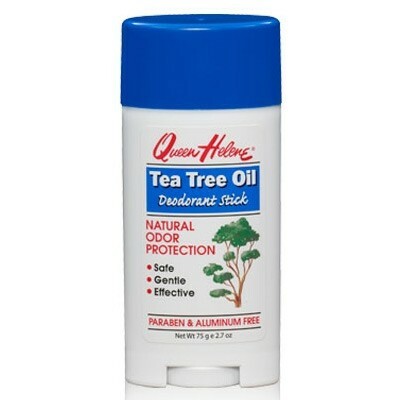 Luckily, at Garden of Eden, we carry a variety of natural deodorants. For those who tend to sweat more, they may not work as well as the non-natural deodorants, but will do a good enough job to make the chemicals worth avoiding. For heavy sweaters, the natural varieties don’t work very well, because there’s simply too much perspiration and bacteria to keep in check. The goal of a natural deodorant is essentially the same as a non-natural one- to reduce the amount of bacteria in your armpit. Instead of using triclosan to kill the bacteria, they use natural ingredients like plant extracts and essential oils to reduce the amount of bacteria count. Essential oils such as Tea Tree and Lavender have a clean scent that will help mask your body odor. Baking soda is another common ingredient used in natural deodorants instead of parabens, along with natural preservatives like Vitamin E.
This deodorant is formulated without toxic aluminum and yet is extremely effective in controlling underarm odor. 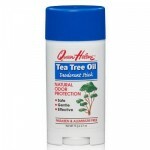 Tea Tree, an aromatic oil from Australia, helps to eliminate odor without stopping perspiration. 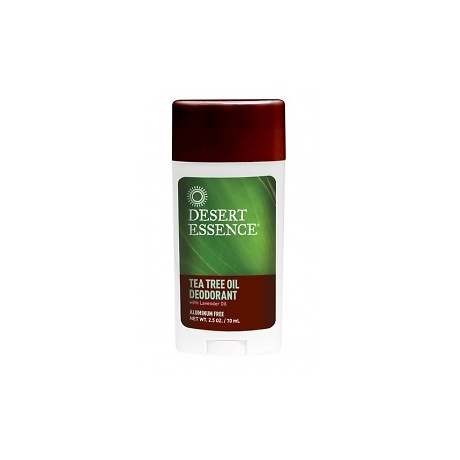 This natural deodorant is clinically tested to control odor all day. Instead of masking odors with heavy fragrances, they use botanical extracts to help inhibit odor-causing bacteria and powerful, natural deodorizers to neutralize odors. 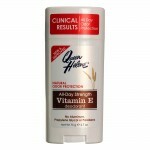 Vitamin E protects and moisturizes sensitive underarm skin. Paraben Free. 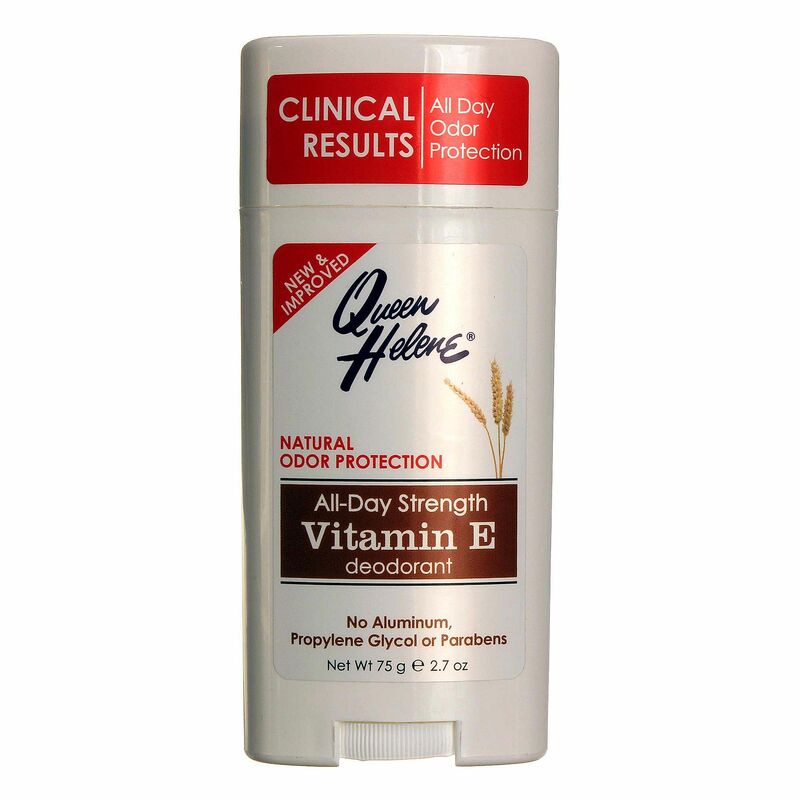 Get that out-of-the-shower fresh feeling with this mild deodorant for sensitive skin. 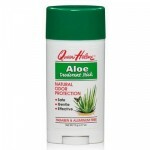 It contains the beneficial Aloe Vera Gel to soothe underarm irritation as it controls unwanted odors. 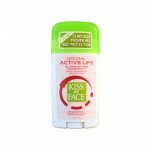 This deodorant works wonders for both men and women, while providing a great-smelling, refreshed feeling. Certified organic. 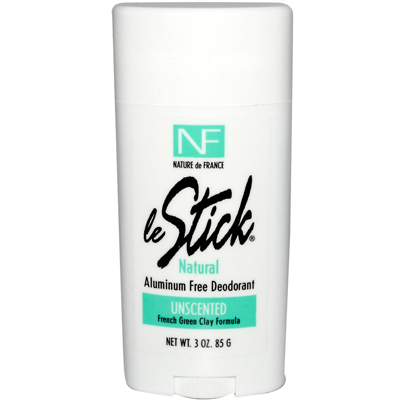 This deodorant provides natural odor protection while being safe, gentle, effective, and paraben and aluminum free. It is specially formulated with Tea Tree Oil, the natural antibacterial agent and fungicide distilled from the Melaleuca Tree. 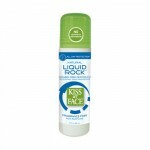 It fights bacteria-causing odor and gives you a great-smelling, refreshing feeling. 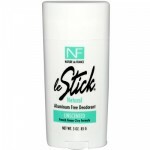 This deodorant is a liquid mineral crystal formula in a convenient roll-on that really works! Biodegradable, gluten free, paraben free, vegan friendly, and no animal testing. This clinically proven formula will keep you fresh and confident all day long. 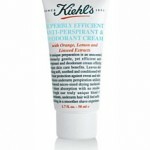 Time tested botanicals and effective odor absorbing ingredients work to create a hard-working formula. Biodegradable, gluten free, paraben free, vegan friendly, no animal testing, no artificial fragrances. This unique product is an unscented, extremely gentle, yet efficient antiperspirant and deodorant cream that leaves skin feeling soft, soothed, and conditioned with 24–hour protection against sweat and odor. 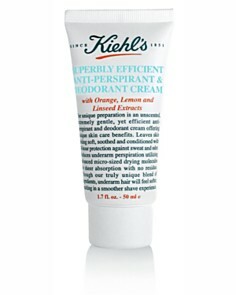 Reduces underarm perspiration utilizing advanced micro–sized drying molecules for sheer absorption with no residue. This deodorant provides a natural clinically proven 24 hour odor protection. The gentle, effective, and aluminum-free formula fights odor naturally and now includes active ingredients from hops, which inhibit the growth of odor-causing bacteria while maintaining effectiveness. No animal testing, artificial colors, flavors, fragrance, or preservatives. Made in the USA. 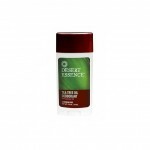 This deodorant is formulated with mineral rich green clay & baking soda. 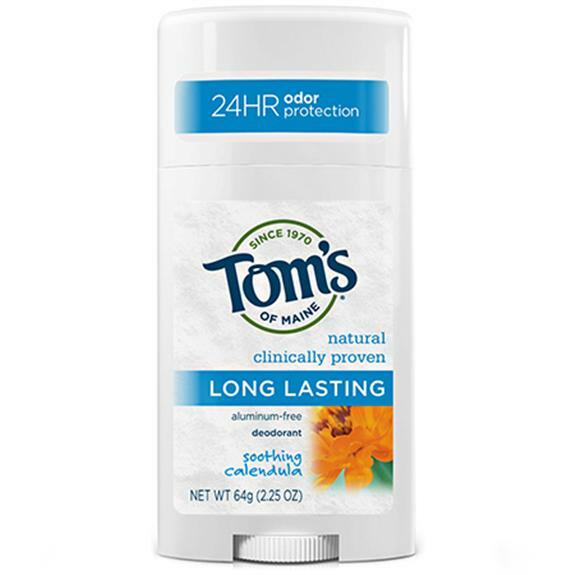 It is unscented and proven a safe, effective natural deodorant that absorbs excess perspiration, oils and odors to give all day, all the time protection. Contains no alcohol, aluminum, artificial preservatives or colorants. No animal testing. 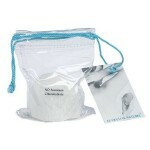 A final option is the crystal rock deodorant, which is a dry crystal that you wet and then apply under your arms. This creates a thin layer of crystal that sticks to your skin, with mineral salts that help to reduce bacteria levels. The mineral is alum, a natural compound that has molecules so large they can’t be absorbed into the skin. The crystals come in three sizes:1 oz. (perfect for travel), 6 oz., and a convenient 4.25 oz. roll-on. The 6 oz. crystal will last a minimum of two years with proper use and comes with a handy pouch for easy storage. Now you know how to stay safe and dry while enjoying all of the fun that summer has to offer! You can always visit us in the store or online if you have any more questions. We love to help!